It’s probably a bit of an understatement to say that NASA had its hands full in the 1960s. Multiple projects, ranging from the manned Mercury, Gemini, and Apollo programs to sending robots to explore the outer planets, were all interleaved with each other, with interconnections and dependencies that would make any project manager’s head spin. But with little time and much to do, there wasn’t much choice but to find a way to forge ahead. From ground-based observations, NASA already had a pretty good idea of what they didn’t yet know. They needed pictures that could resolve surface features as small as one meter across and measure the lunar landscape to detect slopes in excess of 7°, lest a lander tip over upon touchdown. To that end, a request for proposals went out to various vendors for what would essentially be a flying high-resolution camera. The winning proposal for what would become known as the Lunar Orbiter program came from Boeing. The proposal called for five missions to map 99% of the Moon’s surface, as well as gather other scientific data. The first three missions would be in low equatorial orbits and were tasked with closely examining twenty candidate landing sites that had been identified by ground-based observation. The fourth and fifth missions would conduct more scientific observations from high polar orbits. All five probes were on a one-way trip, return of the probes to Earth being prohibitively expensive. Their design called for a lightweight spacecraft using as many flight-tested parts as possible. Engines, power systems, attitude control, and navigation equipment were all pulled from previous missions. 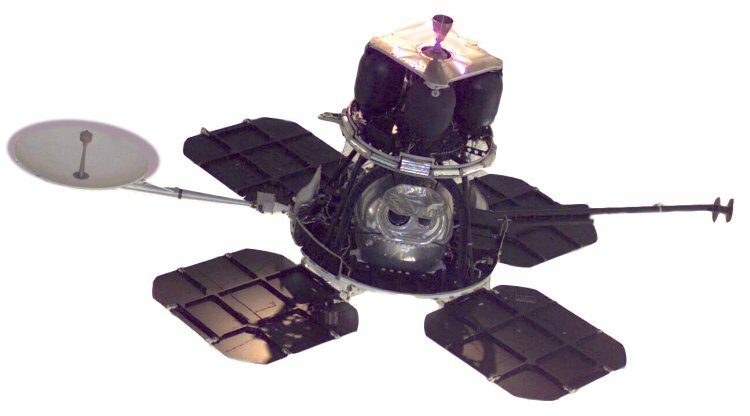 And while there were a few other experiments on board, like micrometeoroid detectors and a radiation sensor, the main piece of gear was the camera system. Other proposals, like the one from RCA, had imaging systems based around television cameras. But the resolution of vidicon tubes and the bulk and weight of putting what amounted to a 1960s-era television studio into lunar orbit led Boeing to contract with Kodak to supply a film-based system. Photographic film had the distinct advantage of being a mature technology with an extremely high resolution, but seemed an odd choice for probes destined to crash into the Moon with the precious payload. To solve that, Kodak used their Bimat Transfer Processing System, which used a semi-dry continuous processing method, to develop the film in orbit. 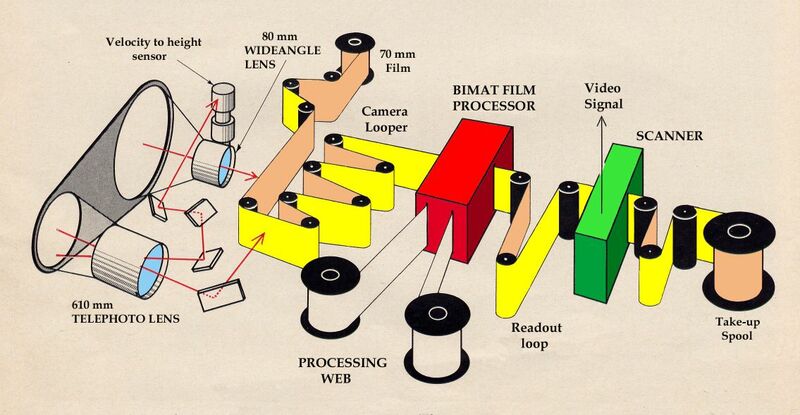 The Bimat system processed the fine-grain 70-mm film by squeezing it against a second processing web which was covered with a colloidal solution of developer and fixer. A heated drum dried the developed film, which was then fed into a flying-spot scanner. There, a pinprick spot of high-intensity light scanned over the image and converted it into a signal that was transmitted back to Earth along with the probe’s telemetry data. All five Lunar Orbiter missions went off without a hitch, giving NASA a rare and much-needed win. All the goals for the program were achieved, and the images sent back were key to helping plan for the Apollo landings. 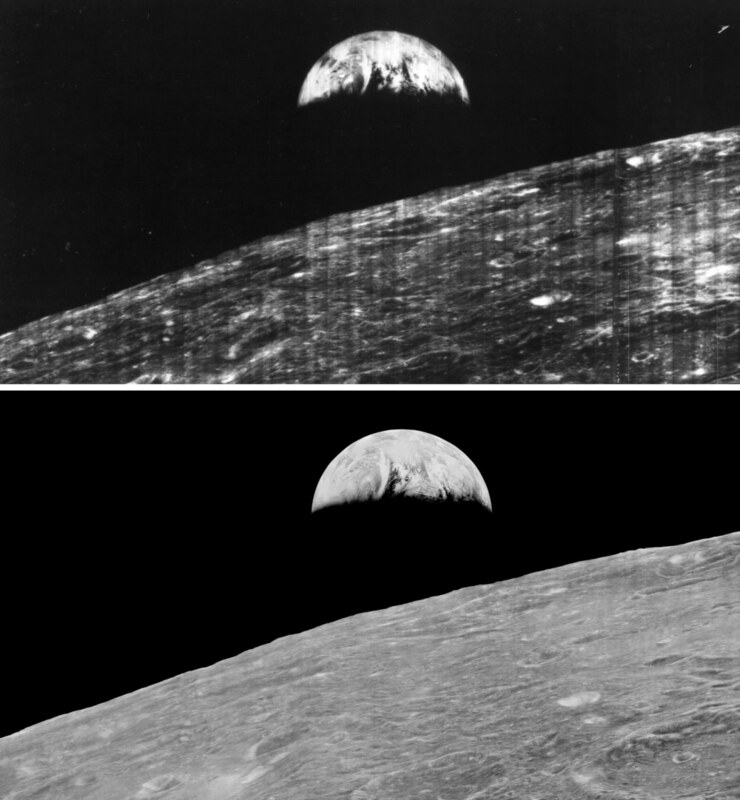 Lunar Orbiter 1 also managed to return the first picture of Earth from the Moon; the image, fuzzy and full of stripe artifacts from the scanner, gave humanity its first look at their home from another world. Interestingly, it would be revealed only recently that NASA had been intentionally decreasing the resolution of the Orbiter program images, in an effort not to reveal the true extent of U.S. imaging capabilities, lest the Soviets learn what sort of cameras were whizzing over their heads. That the Lunar Orbiter program was an unqualified success and that it paved the way for 12 men to walk about the surface of the Moon and return safely home is a tribute to those who designed it. Doing so by flying a wet photo lab to the Moon is just icing on the cake. Thanks to [PeterQuinn] for the idea for this article. Interesting. Besides being the first poster, I need not point to all of you back there that the process description points to a (probably recently) declassified CIA description. Kodak designed for its participation in the early spy satellite projects. Probably Project Corona, Which most of us knew as the Biosatellite program’s carrier. Or perhaps the Discovery missions. In either case the link would tell us….. Seems one important difference is the one between taking a photo and dropping the roll back to Earth, vs taking photo, processing, and then scanning and beaming back. The Russians first obtained images of the far side of the moon with a somewhat similar system aboard the Luna 3 spacecraft in 1959.. An interesting twist was that Luna 3 used some special American film, salvaged from American Genetrix reconnaissance balloons shot down by Russian jets. Don Mitchell has made a name for himself for reprocessing analog recordings of original spaceflight data with modern computing. Unfortunately, he doesn’t have clean copies of the Luna 3 data yet. Wait a minute. “… a colloidal solution of developer and fixer. A heated drum dried the developed film, …” You can’t just drop a statement like that. Was this not in a sealed spacecraft? Where did the water go? Would be interesting to send rovers to the crash sites of these to see what bits survived. Would be neat if any parts of the developed film survived the impact and decades of exposure to vacuum and solar light and radiation. If it’s only a small amount of water, probably just in the atmosphere of the closed container. If it’s slightly more, a simple cold getter or a bag of desiccant will take care of it. It was probably not enough to overwhelm those options. If it did, a dehumidifier system was probably included.